Originally published in 1992. This provocative and controversial book calls for a critical analysis of the philosophical assumptions underpinning sociolinguistics. Going back to the philosophical roots of the study of language in society, it argues that they lie in the consensual attitude to society derived from eighteenth and nineteenth-century social thought. The leading figures in the field are challenged for their unequivocal acceptance of the sociological theory on which they draw. 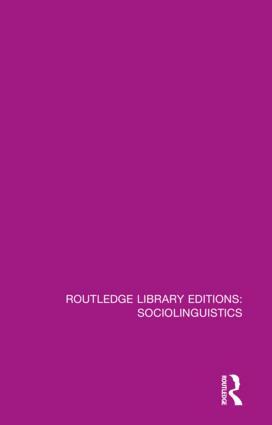 For researchers of language in society, this book emphasises the sociological rather than the linguistic side of the subject.